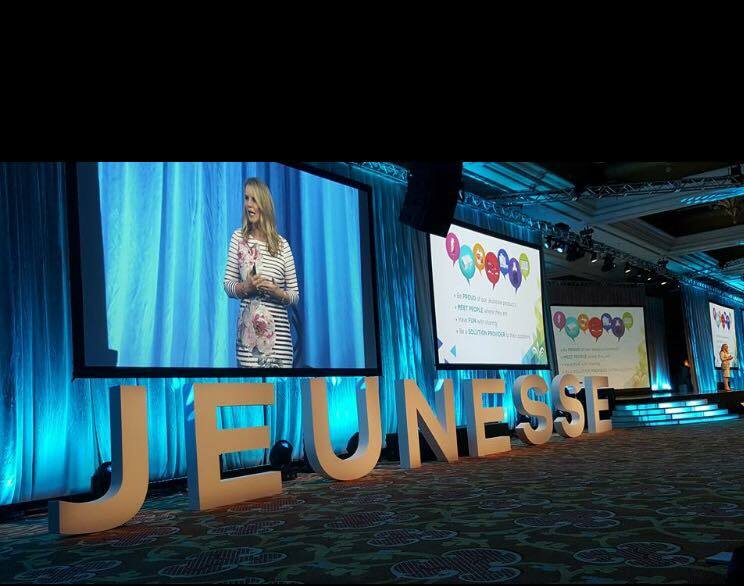 Success in network marketing is based on YOU attending your team and company events. We are in the tools and events driven business. If you are using one and not the other, you are building this the hard and slow way. You have to show up for the events. And bring as many people as you can with you. I have been to many company events and I have learned something new every time. The events are what fill you up. The events expand your belief in yourself, your company and our profession in ways that no one else can do for you. The magic in belief happens at the events! 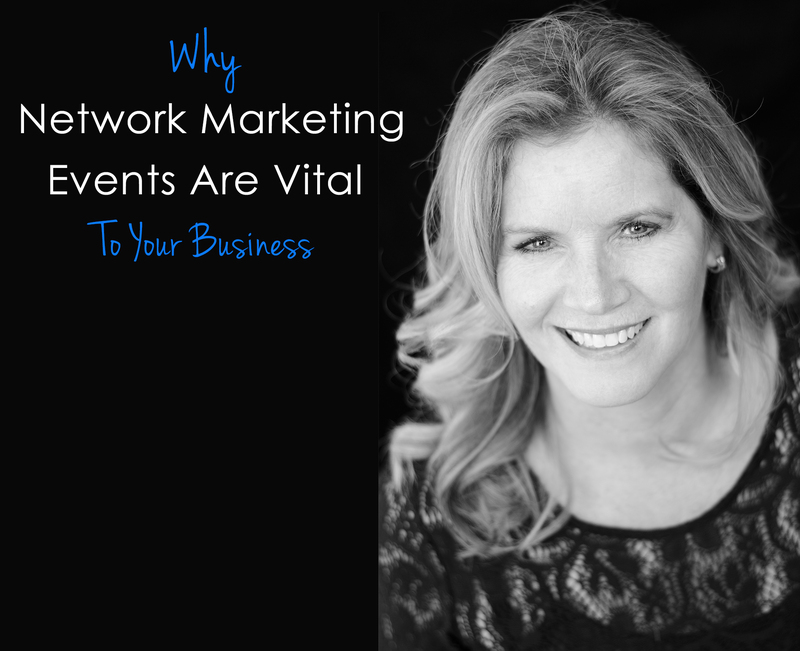 Here are four reasons why network marketing events are vital to your business. 1. You learn more when you go to events. Listening to a live speaker is highly engaging and you are more likely to remember it. You are more focused and aware at the event and therefore you retain more information. When you are just listening to a recording, you can easily get distracted because you may be multi-tasking or thinking of something else. Your company puts these events together FOR you. The more people you bring, the faster your business will grow. This is just one of the ways LEVERAGE works in our business. Let the company spend the millions and you bring the people. 2. The atmosphere is extremely motivating. Several studies have shown that the environment that we surround ourselves with plays a big part in our success. That is why watching sports on TV or listening to music at home is not as exciting as attending a live event. However, when you attend a network marketing event, you get to be in the same room and see things that you don’t get to at home. Therefore, attending your company’s events is very important. You are completely surrounded by positive and motivated people! You have heard that the way to learn a foreign language is to immerse yourself? 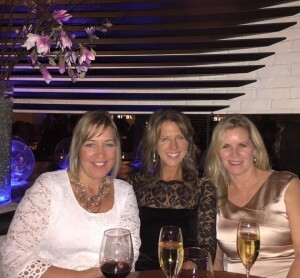 Well, attending the company events for your business is a way to immerse yourself! 3. You will learn tips from leading business experts about what it really takes to build a business. The best teachers are the network marketers in your company who have made it to the top. Listen to as many speakers as you can. Attend every session. Take lots of notes. Go back and teach what you learned to your team. And set a goal to bring as many people as you can to the next event. You can tell how much a person earns by how many people from their team are at the event with them. 4. You will be able to make amazing business and personal connections that will increase your net worth and your life worth! Your companies network marketing events are the best way to meet and learn from other successful people. You will have a chance to hang out and socialize with other people who are in the same business as you and who are excited and serious as you about making incredible things happen. You have heard the saying that you are the sum total of the 5 people you spend the most time with? Well, at these events, you will be upgrading your 5 people. Attend as many network marketing events as you can! They will change your life. It will allow you to build your business and your self-confidence. You will meet great people and learn things that you could never learn from just watching YouTube videos at home. It is so important to invest in yourself and to invest in events. You will thank yourself later! You won’t believe how your business will take off when you bring more and more people to the events. Wishing you all the best! P.S. I hope my tips on network marketing events are of value to you. If you liked this blog post, I think you will love my blog post on How to Stay Persistent and Reach Your Goals. How to Stay Persistent and Reach Your Goals! At the end of the day, the most successful individuals are those that keep on trying, even when it seems like there is nothing left to fight for. The ability to persist longer than anyone else is the one quality that will guarantee great success in life! Now apply this same idea to building your network marketing business. If you keep working hard and stay persistent, your business will blossom. 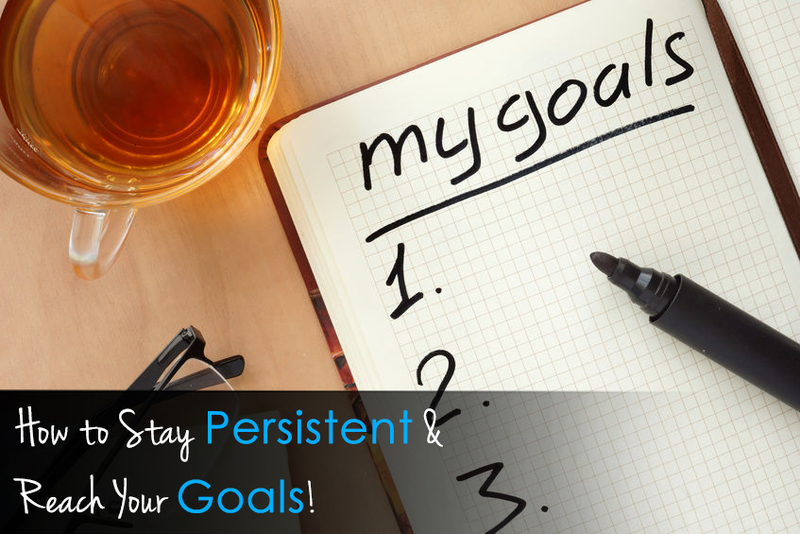 Here are 18 tips to help you stay persistent and reach your business goals! 1. Start each day by visualizing your goals. Remember you are the director of your life’s movie and your imagination is your preview for everything you will achieve. Try to “see” your goals as if they already exist. Doing so will activate all of your available mental powers and help you attain your goals. If you are new to this, you may be a bit uncomfortable with this – it works! 2. Do not be afraid to unlock your potential. You have the ability to achieve anything you put your mind to. Just look at everything you have achieved so far. That was just the preparation for everything you will accomplish in the future. Decide to be uncomfortable with the status quo and to really go after what you want in your life. 3. Take charge. It is you who are responsible for whatever you achieve today, tomorrow and months down the road. You are responsible for everything you think, say and do and for everything you will become in the future. You must stop making excuses and blaming others for your failures. Instead, know it is up to you and work on your goals each and every day. A mentor taught me years ago to not get caught up in our “stories”. What are you telling yourself about your abilities and about how successful you can be? 4. Create your future. Refuse to accept that there are limitations on what you can do, be or have in the months and years ahead. 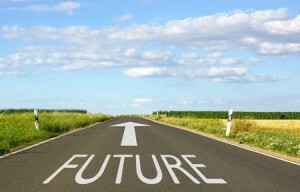 Continually think about and plan your future. You will find the resources to create any life that you desire. It is amazing what will appear if you stay committed and on course. I know now that what I think about I attract. What is I ask for usually shows up in one way or another, sooner or later. And what I can measure and track, I can change. 5. Clarify your values. If you are going to set goals you need to think about what is the MOST important to you. It is your innermost values that define you as a person. Do not change or stray away from what you feel is right for you. 6. Really think about your beliefs. Those beliefs include what you think about your own abilities and about the world around you. What you believe you can achieve. Knowing this in your heart of hearts will have more of an impact on your feelings and actions than any other factor. I knew I could be successful in network marketing. I just knew it! And I went to work and I did the work. 7. Next define your true goals. This will help you stay persistent. It is up to you to decide what you want to accomplish with your life. Clarity is essential for happiness and living up to your true potential. With that you can find a central purpose to build your life around. Try to find one single goal that will help you achieve all of your other goals. I am a huge believer in setting goals and writing them down. And reviewing them at least quarterly! And don’t worry if they are a moving target meaning you don’t achieve all your goals in the timeframe you thought you would. That is normal! 8. Do not be afraid to start from the beginning. Determine you exact situation and be both honest and realistic when you are thinking about what you want to accomplish in the future. I have heard that most of us over estimate what we can get done in a year but very much underestimate what we can get done in 5 years. Think bigger picture and longer term. One of the biggest mistakes network marketers make is not giving their business enough time in terms of the time spent each week and the time spent working it before they give in or up. 9. Do something new every day. That is the best way to get started toward achieving your goals because it will allow you to make new moves and a momentum towards success. We have to keep growing and learning. I have a list of websites that I follow and when I need some inspiration, I go look at their websites to see what is new and different. Being able to learn new skills and change it up is what keeps our businesses interesting and fun. I love that no two days are alike and you never know what is going to happen today! Stay Persistent and Grow Your Business! 11. Unlock your creativity. Everyone has the ability to be creative and solve problems. If you are not meeting your goal, do not be afraid to come up with a new and better way than what you are currently doing. Anyone can tap into their intelligence to overcome any obstacle and achieve their goals. People do so all the time. Everyone has their moments where they feel like they are beating their head against the wall but that is just part of the journey to success. 12. Eliminate all obstacles. Your success boils down to your ability to solve problems and remove obstacles that stand in the way of your goal. Although you may make mistakes at times, if you just keep trying you will achieve your goals. Don’t let the naysayers get to you. Don’t let something that isn’t that important to you stand in the way of something that is very important to you! 13. Become an expert at what you do. You have within you the ability to be one of the best in your field. There are no excuses. All you have to do is put your mind to it, study, learn and never stop working until you get there. Only then can you join the top 10% in our field or any field. People get hung up on the word “expert”. You don’t have to have a degree in something to be considered an expert – if you know more than the person you are talking to about network marketing and you provide value on a consistent basis, you will be seen as an expert. 14. Activate your super conscious mind. You have the power within you and around you to bring about everything and anything you could ever want. Visualizing your success is key. What do you think professional athletes or olympic athletes do before a big event? Also, if you regularly take the time to tap into your peers you will find that they offer an amazing source of ideas and aid to achieve your goals. 15. Be sure to associate with the right people. The choices you make in regards to the people whom you live, work and socialize with will affect your success. You should only associate with people that you actually like, respect and admire. If you want to be a successful and good person, you should only associate with others who strive to be the best. We are the sum total of the 5 people we spend the most time with. Who are the 5 people you spend the most time with? Are they pulling you up and lifting you up or dragging you down? 16. Do not procrastinate, stay persistent! Learn how to manage your time well and to double and triple your productivity. To do this learn and practice proven time management principles. I love the book The One Minute Manager by Ken Blanchard. Do not get distracted by trivial matters and always set priorities before you begin. 17. At the end of each day, take a moment to review and reevaluate your goals and objectives. Make sure you are on track and that you are still working on the things that are most important to you. Be ready to adapt your plan, as it is needed. Celebrate at the end of the day by focusing on what you did get done and what you moved forward. 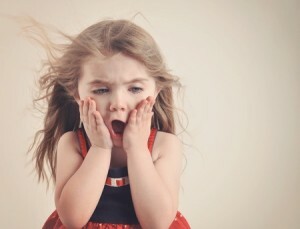 Don’t look at the never ending to do list and feel frustrated for what you didn’t get done. I have a process where at the beginning of the week I write out the top 5 things to get done that week. I will get a lot of other things done too but if by Thursday, I haven’t gotten the top 5 things done then I focus much more on those. It is so easy to be busy and to get distracted and not get to the most important things! 18. Remain flexible and roll with the punches. Keep your goals in mind, but do not be afraid to try an alternative way of meeting them. Who knows – there may be a solution that is newer, better, faster and cheaper. If something is not working, be willing to try a different approach. I hope these tips help you as you build your business! Being consistent and persistent with your goals and your daily activities is going to get you where you want to go. When people ask me what is my secret, my answer is I am very good at being consistent. It almost sounds easy. It isn’t as most of us but we can create better habits that move us forward. Hope you have enjoyed these tips! See you at the top! P.S. I hope my network marketing tips are of value to you. If you liked this blog post, I think you will love my blog post on how and why to make a video for your business!